Everybody buying a new sofa or chair worries about someone getting a little sloppy with their red wine while sitting on it. In fact, a fear of stains leads many people with kids or pets to simply put off buying new furniture completely. But there’s no need to live with a falling apart sofa just because you’re concerned about stains. That’s because there’s a whole new category of upholstery fabric that’s popped up in recent years: performance fabrics. These remarkable products can handle spills and dirt with ease. Here are the big players in the performance fabric category – all approaching stain resistance from a different angle. Revolution fabrics by STI are woven from Olefin yarn and are naturally stain-resistant (no chemicals needed!). These fabrics are durable, easy to clean, fade-resistant, and don’t fuzz or pill. As an added bonus, they’re beautiful and soft and come in any number of colors and textures. So what is this magical yarn? Olefin (aka Polypropylene) is used to make milk jugs and is also a common fiber in indoor/outdoor rugs. The Olefin that makes Revolution fabrics has been solution dyed–this means the dye is mixed into the liquid polymer before the yarn is created. The fact that the color is an integral component of the yarn is what makes it virtually unstainable. Even better? The fabric can be cleaned with almost any household cleaner, including bleach. If it gets dirty, plain water will take care of most situations, but it’s good to know that you can use strong cleaners if necessary. Just follow the manufacturer’s directions to rinse the fabric thoroughly and let it air dry. Crypton technology results in a fabric that withstands liquid, thanks to an impenetrable moisture barrier. That means a spilled drink will just bead on the surface, allowing you to wipe it up with a clean, dry cloth. 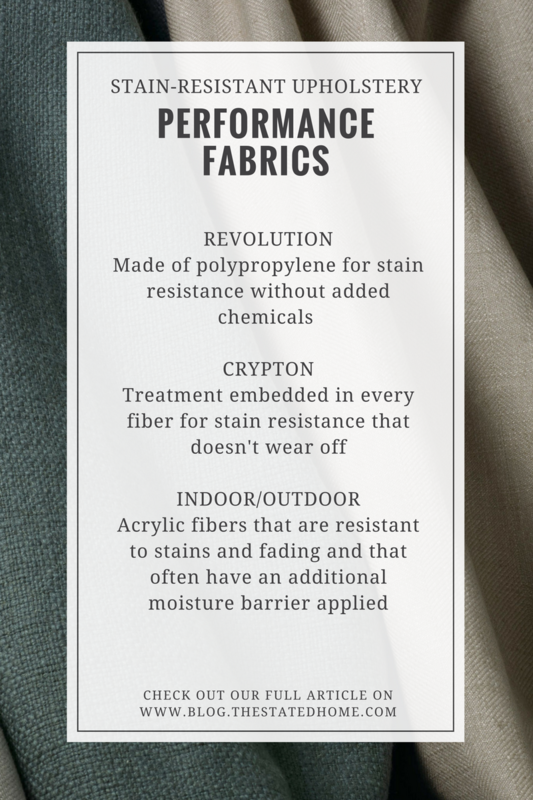 As an added benefit, Crypton fabrics have built-in stain and odor resistance and are anti-microbial. Unlike spray-on treatments that are applied to finished fabric, Crypton is embedded in every fiber and will never wear off. Crypton isn’t toxic though–it’s earned Greenguard Gold Certification, meaning it meets rigorous chemical emission standards. The “Cryptonizing” process can be applied to any fabric that meets specific fiber and construction requirements, so you may find Crypton fabrics made from cotton, rayon, polyester, and other natural or man-made fibers. Crypton doesn’t affect the look, feel, or breathability of the fabric. The Crypton website offers step-by-step instructions on how to clean your Crypton upholstery using plain water or a mild detergent. Follow their advice, and your furniture will look (and smell) its best for years to come. Entering the performance fabric scene in 2018, Inside Out fabrics are more than your typical indoor/outdoor fabrics. That’s because they use a polyester yarn as opposed to an acrylic yarn, which has a much softer feel. The result is a great option for upholstered indoor pieces that need to be comfortable as well as stain resistant. Inside Out fabrics are extremely durable: They often exceed 50,000 double-rubs, are fade resistant (making them a good option for sunny spots), and resist pilling. They are also inherently stain and liquid resistant – water or any other spilled liquid beads right up for easy cleaning – and can be cleaned with soap and water (or even bleach for stubborn dirt). Visit their website for videos explaining more about their benefits and cleaning. Gone are the days when all outdoor fabric was stiff and scratchy. Today’s high quality outdoor fabrics are virtually indistinguishable from indoor-only upholstery material. Advancements in technology have created beautiful, soft upholstery options that work both inside and outside your home. Different weaves and textures are available, even velvet! Sunbrella is one well-known manufacturer, but there are a number of others. Indoor-outdoor fabric is made from solution-dyed acrylic (dye is added before the fibers are created). As a result, it’s colorfast and won’t fade from exposure to the sun. It also resists soil, shrinkage, mildew, and insects. Quick drying and wrinkle-free, this easy-to-clean fabric can look like new for years. But acrylic has some drawbacks. Its natural tendency to repel water also makes it more prone to creating static electricity. And it’s not as resistant to abrasion as are some other fabrics, so it may not be suited to pieces that will get lots of wear. Some lesser quality acrylics have a tendency to pill, but those made to higher standards, like Sunbrella, have been specifically manufactured to avoid that problem. Most indoor-outdoor fabrics are treated with a spray-on finish to make them water-resistant, but after years of being out in the rain and getting cleaned, the finish can wear off. If water no longer beads on your fabric, it’s time to re-treat it with a waterproofing product like 303 Fabric Guard (endorsed by the manufacturer of Sunbrella). Cleaning instructions can be found on the manufacturer’s website. Microfiber is not technically a performance fabric, but it has such a reputation for being stain-resistant and durable that we wanted to include it here. Microfiber refers to the thickness of a fiber, not to a type, like acrylic or cotton. Typically, it’s polyester, but some microfiber fabrics are made from rayon and others have nylon added for strength. If you were to read reviews of microfiber upholstery, you would find that many people say it holds up beautifully, while others have been disappointed since it isn’t manufactured to have added stain resistance. Microfiber fabrics, especially those mixed with nylon, are very durable, standing up to many thousands of rubs before the fibers give out (the standard durability test). As a result of such thin fibers, the weave can be very tight, so liquid beads on the surface rather than soaking in immediately. The fabric is resistant to fading, but beware of letting it get too hot, as the fibers warp under high temperatures. So what are the negatives? There are a few. Microfiber tends to create static and can be clingy when you adjust your position. That static also makes the fabric hold onto lint and pet hair, and electricity may transfer to your clothing and hair when you sit down. Microfiber has been known to stretch and distort, especially on a cushion that gets a lot of use. And if you don’t blot up spills immediately, they will soak in and could leave a stain. In addition, hair and skin oils can create permanent marks on the fabric. Liquid, including water, typically leaves a water mark or water ring when it dries, so spot cleaning can be problematic. 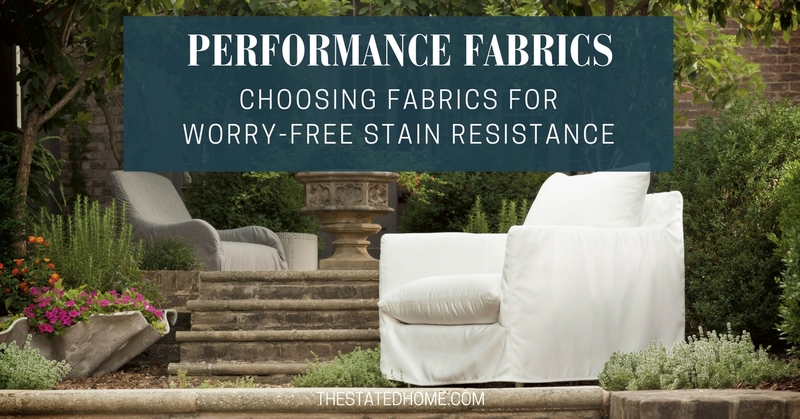 If you fall in love with a fabric that isn’t a performance fabric, you still may be able to make it more stain-resistant. These options aren’t as good as the performance fabrics (the treatments are applied to the surface, not inherent to the fiber) but they can still help with dirt and spills. There are a handful of furniture protection sprays. The most widely known one is Scotchgard, but there are some newcomer “nano technology” products on the market that offer a more complete and environmentally friendly option. You can apply these yourself or there are companies that will come and treat your furniture for you (search for upholstery cleaning companies). Another option is a furniture protection plan. This doesn’t involve a spray treatment, but has a technician visit your home to remove stains and marks on your furniture for a set period of time after your purchase. The biggest name in this category is Guardian. While there is no one “magic” fabric that promises to stand up to every hazard, technology has given us several great options that should make it easier to keep your sofa looking new longer. Hi , have you used revolution fabric? if so which style.Thankyou ! Yes – we love Revolution! 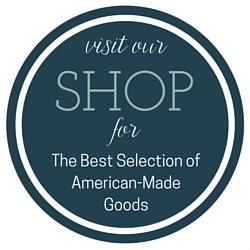 We feature their Duke fabric on our site. The only thing you have to be careful of is to not use a brush when cleaning, but they are soft to the touch and look great.